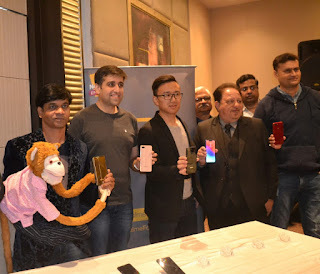 Chandigarh, January 16, 2019: Realme, the No. 1 emerging smartphone brand in India, today announced to expand the offline sales to 150 cities in the forthcoming year. The young brand will start with top cities of the country, gradually moving towards 150 cities phase by phase. The “Proud to be Young” brand has partnered with offline retailers which will be known as Real Partners and will give a value addition to customer experience. In Chandigarh, there will be 60 top Real Partners (multi brand retail outlets) along with 300 Real Partners across Punjab in January 2019. Going forward the brand targets to establish 500 stores in the entire Punjab & Chandigarh region by end of March 2019. Initially the brand will focus on Chandigarh Tri-city (Chandigarh, Mohali, Panchkula), with top 45 towns of 22 districts of Punjab, eventually covering the entire region by end of March 2019. M/s Akash Dhingra Sales Pvt. Limited, a company floated by Mr. Harish Dhingra in 2014 will be the priority partner with Realme to run a large number of stores in the region.